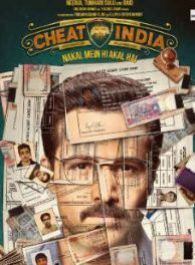 Why Cheat India is an upcoming Indian Hindi-language film written and directed by Soumik Sen. It features Emraan Hashmi and Shreya Dhanwanthary in the lead roles. The film is scheduled to be released on 25 January 2019. Post Bazaar, actor Rohan Mehra signs Ellipsis Entertainment's next!